NEW DELHI—An Indian rocket on Monday, April 1, placed domestic and foreign satellites in three different orbits on a single flight, a first for the nation and a low-cost option that could burnish its reputation for pioneering affordable options in space. 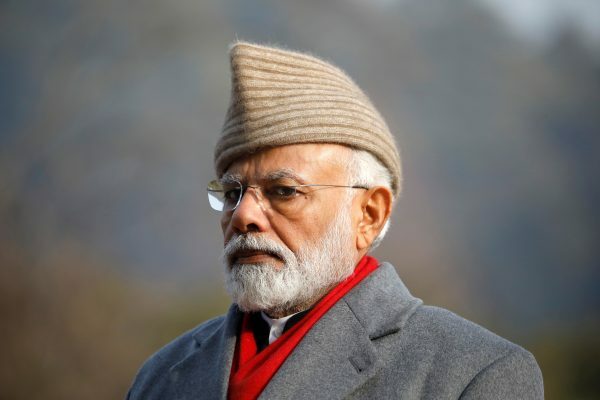 The launch of a domestic intelligence satellite and 28 foreign ones came less than a week after India used an anti-satellite missile to take down one of its own satellites, demonstrating a capability only China, Russia and the United States had possessed previously. The state-run Indian Space Research Organisation (ISRO) said 24 satellites from the United States, two from Lithuania and one each from Spain and Switzerland were positioned in Monday’s launch, in addition to India’s EMISAT satellite. 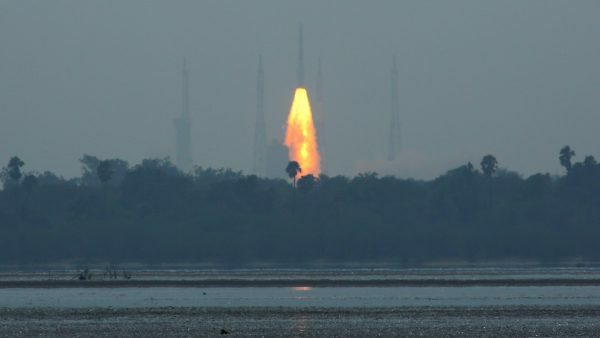 “This particular mission is very special for ISRO,” its chairman, K. Sivan, said after the launch from India’s southeastern state of Andhra Pradesh. 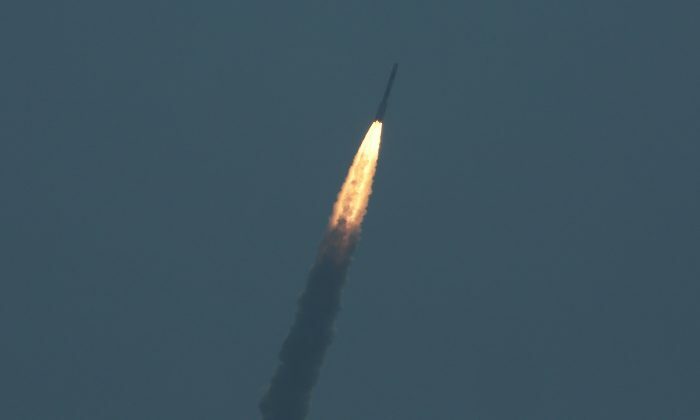 “This is for the first time the PSLV is carrying out three orbital missions in a single flight,” he said in a speech, referring to the Polar Satellite Launch Vehicle family of rockets. 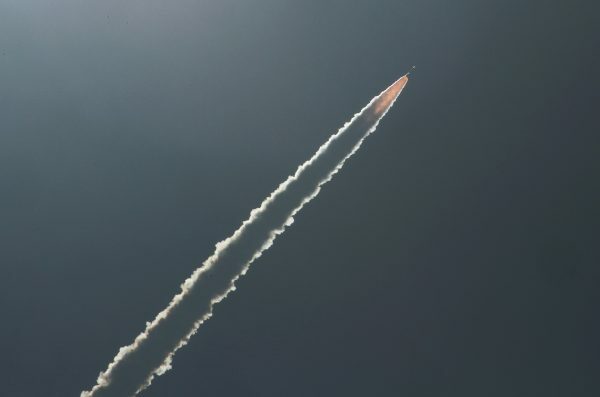 Sivan, who previously told media the “three-in-one” launch would help cut costs, said the agency aimed to complete 30 more missions this year, including India’s second lunar exploration program known as the Chandrayaan-2. PROUD@isro does India proud yet again! #PSLVC45, carrying intelligence satellite #EMISAT,launched successfully. Among the satellites in Monday’s launch are 20 earth-imaging satellites of Planet Labs Inc, a private satellite operator based in San Francisco. Two of the satellites, one from Lithuania and another from Switzerland, will be used for the “Internet of Things”, or connecting physical devices to the Web, the agency added. Prime Minister Narendra Modi congratulated the agency on the launch and said his government was working on raising citizens’ interest in science and their respect for scientists. ISRO wants companies such as state-owned Hindustan Aeronautics Ltd and Mumbai-based conglomerate Larsen & Toubro to build its rockets in future. Last year India said it expected to spend less than 100 billion rupees ($1.4 billion) on its first manned space mission to be launched by 2022, suggesting it is likely to be cheaper than similar projects by the United States and China. India’s 2014 launch of an unmanned Mars mission cost $74 million, just a fraction of the $671 million spent by U.S. space agency NASA on its MAVEN Mars mission.